For awhile now I have wanted to try out Wyeast 3711PC French Saison. 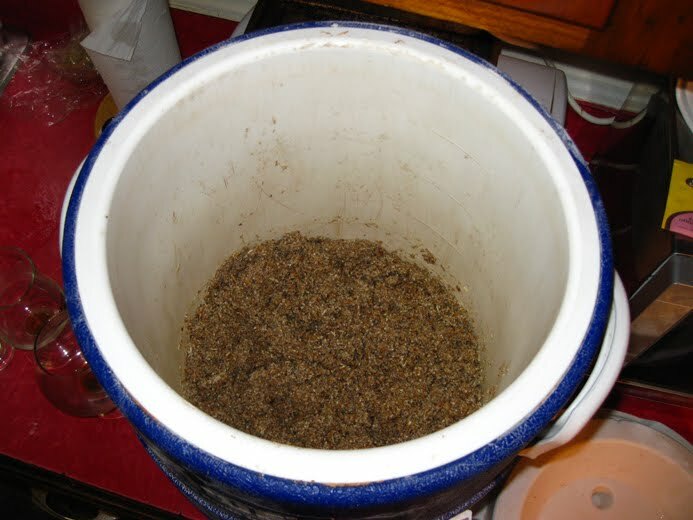 I have sampled several homebrews and commercial beers that used it, and they have all had a great peppery character, and been dry but not thin. I had also heard that it is a monster compared to the fussy Dupont strain (WLP565/3724), which fails to attenuate well if it isn't given just the correct combination of plenty of time and heat. The saison portion of my Cable Car Clone for example stopped around 1.015 (75% apparent attenuation) after two weeks of fermentation. The French Saison strain is supposedly from Brasserie Thiriez, probably one of my favorite 2-3 breweries in France (along with Brasserie Theillier and Brasserie De Saint-Sylvestre, brewers of Biere de Garde just about the only beer style France in known for). It is a bit surprising then that Thiriez specializes in the Belgian saison style, well not too surprising when you learn that they are just a couple miles from the Belgian boarder. For those of you who think France is a country of vineyards, you are pretty much right... but there are a few decent small brewers thrown in there as well. Inspired by a bottle of Brasserie Dupont's Avril (a ~3.5% ABV saison); my initial thought was to brew this mid-summer when temperatures were hot and a light saison is the perfect thing to knock back. My plan was to do a split batch watering down half post-boil to make a light table saison for summer drinking and save the rest at full strength to enjoy during the warm DC fall. "Sadly" I ended up moving in August and didn't have the time to brew it. The next iteration of my plan was to brew a big batch of wort with all pils malt and loads of Czech Saaz hops, then split it and ferment half as a saison and half as a pilsner. I had all the ingredients except the lager yeast, so when I got a surprise weekend brewday (while the Fermentationette was studying for her GRE) I decided to just brew it as a hopped up saison. For the malt bill I kept it very clean and simple to let the yeast and hops take the lead. Mostly Belgian pilsener malt with just a touch of malted wheat for added head stability and a bit of extra body. You certainly could add a portion of a more characterful malt like Munich or Vienna, or even some sugar for dryness, but that isn't what I was going for on this one. 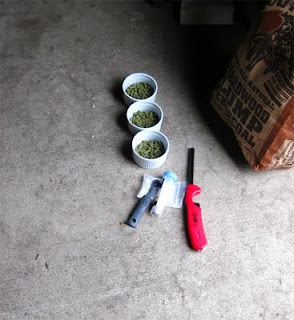 Saaz hops don't have much bittering power, but they give a great spicy character. I got a bunch for less than a dollar an ounce from Hops Direct, so I didn't feel bad using them for both early and late boil additions. True to its reputation the French Saison strain tore through my wort in a week, taking it from 1.050 down to 1.002. Mind you this was a 3 month old smackpack without a starter, fermenting in my basement in November (although I did give it the benefit of a heating pad set to low after the first three days). Needless to say a few weeks later I gave it something a bit more complex to tackle... but more on that next week. I will probably keg this one and let it naturally condition until one of the two beers on tap kicks. 2.25 oz. Czech Saaz (Pellet 3.00% AA) @ 60 min. 1.75 oz. Czech Saaz (Pellet 3.00% AA) @ 10 min. 1.50 oz. Czech Saaz (Pellet 3.00% AA) @ 0 min. Used carbon filtered DC water with 1/2 tsp of gypsum to lower the mash pH and give some sulfate for the hops. Batch Sparged. Hops adjusted down from 3.5% AA because they are about a year old. Collected 6 gallons of 1.043 runnings. Topped off with a gallon of water pre-boil. Cooled to around 75. Gave 60 seconds of pure 02. Pitched a swelled smackpack of yeast because I didn't have time for a starter. Left in the basement in the mid-60s ambient. High krausen after just 16 hours. What an aggressive yeast. 11/03/09 Added a heating pad on low to up the temp to ~75. Hopefully this will help the beer to finishing out nicely dry. 11/14/09 Finished out at 1.002ish. Racked to secondary, left at basement temp ~60 F to clear. Saved yeast cake for Dark Saison II. 11/30/09 Racked into a keg with 4.5 oz of cane sugar. Flushed the keg with CO2 before filling and topped off the keg afterward to ensure a good seal. 1/20/10 First tasting, light, crisp, hoppy, beautiful. what are you fermenting in? is that your brew kettle to get in semi-open fermentation for some extra farmhouse funk? It is in a better bottle, it is just sitting in my hot water kettle in case it decided to ferment too vigorously (my blowoff tube was already in use). I like that you restrained the OG. Saisons have gotten out of hand with pushing 9% ABV, not really thirst quenching at the point. I keep my saison recipe right around 1.050 as I find that gives a good balance of flavor and refreshing quaffability. As far as the fussiness of Dupont yeast... So what? It produces amazing beer. Worth the extra patience. What's your technique for saving the yeast cake? I generally don't save a yeast cake for long, this one was racked off the yeast cake the night before we brewed the next beer. I just left a half inch of beer covering it and left it in the carboy. You could pour the slurry into a growler (or mason jar) and save it in the fridge for a couple weeks, but passed that I would wash the yeast and feed it some starter wort to get it going again before pitching. I agree with you that the Dupont strain can make a good beer, but the beers I have tasted with this strain have been just as good. If I can get the same results without the hassle, then why not? That said I'll wait to see how these two come out. 3711 is a big favorite of mine and it's also the house yeast for Upright Brewing where I am interning. You'd be surprised, I know a lot of saison experts say to mash low, but this yeast will take down anything! If you are looking for a beer in the higher single digits F.G., it's probably better to go with a mash temp of 153- 154. Upright mashes all their beers at above 150, and they still come out very dry, finishing in the single digits. What I get from this 3711 is more tartness than the Dupont strain, as well as different esters. Both can be great, but I can see why this one is catching on fast since it performs so well. In fact I think that true Dupont yeast has never rarely been given a fair shake, since both Whitelabs and Wyeast sell an isolate of what is almost definitely a mixed culture. True Dupont yeast probably performs better and provides more complexity than either of the commercial isolates. Also, in my experience, 3711 works better at a lower temp range than the Dupont strain. If I get into the 80's, it's only on the tail end of fermentation. It seems to produce too much noticable alcohol if fermented too hot, but this is also probably because it dries the beer out so completely. Interesting stuff, thanks for the post. Man to have a brewery with a saison yeast as the house strain, sounds like a really cool place. We mashed at 154 for the big-dark saison that the cake from this went into, hoping to get a little residual gravity for some Brett to chew on. I get the ferment down on that one as well, no need to encourage higher attenuation or more aggressive alcohol in a bigger beer. I'm wondering if 3711 is the house yeast of the Bruery as well? Patrick Rue claims to use their house strain (in combination of other yeasts) in the 19+% abv Black Tuesday. My only experience with 3711 brought my 1.080 saison to 1.000, 11.7% abv. It's a beast, no doubt. i thought the Bruery's house strain was supposed to be an old Duvel strain? I think this might be a good beer to start out a big beer with, but I'm not sure what the alcohol tolerance is like. Wyeast claims just to reach 12% abv tolerance, but I'm pretty skeptical. Waiting to hear back from Patrick if he can confirm what yeast they use. What have you found the flavor profile to be of this beer vs. those made with 3724? It is hard to generalize, since the fermentation temperature can impact the character so much. I think Sean gave a good description in his post, I don’t have enough experience with the two strains yet to add much. The Brett-Dupont combo that Bullfrog uses in their Busted Lawnmower Saison is probably the best American made saison I have had, the extra character and dryness from the Brett really works wonders. I love the French and Farmhouse saison yeasts. My last batch was 100% pils, 100% cz saaz and 1/2 split between the two yeasts. I agree that you don't want to run these quite as hot as you have to run the Dupont strain. I asked Patrick a while back what the Bruery uses, and apparently it's something some of his homebrewing friends had cultured up or let mutate from a commercial strain. I do remember he compared it to Duvel yeast, but it's not quite that. I don't know how they keep it now, my guess would be it's banked for them by one of the big 2. Brewed it, loved it. Thanks for the recipe. Only my third ever beer and its a champ. You're right, less is more, especially in this beer. Glad it turned out well. thanks for posting. Great beer for summer brewing and drinking. "Wyeast claims just to reach 12% abv tolerance, but I'm pretty skeptical." I have recently used this yeast to make something resembling a Belgian Dark Strong Ale. While it might be drier and more attenuated than the style guidelines, my hydrometer tells me I've achieved 13.2% ABV. I'll let you know in a few months if those poor yeast are viable enough to bottle condition it. I think you are right about 3711 being The Bruery's house yeast--had a 750 of Mischief last night & thought it a very saison-ish strong golden, for sure...checked the website & beer advocate to see what it was classified as in fact. Your recipe here looks delicious & the 88/12 breakdown between pils and wheat looks a lot like what I think I tasted last night. I think I'll do that ratio and sufficient malt to get me to 8.5% on my set up and hop to The Bruery's stated 35 IBUs with, I think, a big noble aroma and dry-hop addition & see what happens. Wanted to get your thoughts on doing something similar to this with Sorachi Ace. I'll probably need to find another hop (or 2) to tame down the buttery lemon characteristic, but the idea of Sorachi Ace and a French Saison yeast are appealing to me. I'm not a big Sorachi Ace fan, but I don't mind the Brooklyn saison of the same name that features them. Blending them, say 1:2, with a traditional European hop like Saaz (or more aromatic Sterling) would go nicely I think. Let me know how it turns out! I brewed 100% Sorachi Ace with a basic 90% Belgian Pils/10% white wheat 1.056 OG. I'll probably dry hop with a split between Sorachi Ace and another hop, considering I only had a pound of Sorachi Ace, and I'm putting about 18 oz of hops in this 11.5 gallon batch. You recommend blending it with a European hop rather than another tropical hop, hey? I haven't used Sorachi much, but I think it could work as an accent to other citrusy hops. If you want to feature Sorachi I might go with something a bit citrusy like Sterling of Crystal, so the fruitiness isn't out of control. Homebrewing is all about making something to your tastes, if you want to amp the fruit go for Citra or one of those crazy New Zealand hops. 18 oz of dry hops in 11.5 gallons is more than I go for, and I love bombastic hop aroma. Let me know how it turns out! I recently made my first Saison based roughly off this recipe. I used Wyeast 1581 (Belgian Stout) and the first few tastings have been met with very positive results as one of my best batches ever (over 100 brews under my belt). Love reading and referencing your blog regularly, keep up the great work. You mention that you kegged with 4.5 oz of corn sugar, what did you set your psi at? I don't remember exactly what I set the pressure for on this one, I just went as high as I could without serving beer that was all foam. Having colder beer and longer/thinner lines will allow you to serve beer with higher carbonation. Good luck! Was the 1.043 preboil after you topped off with 1 gallon or before? Did you collect 5 gallons of runnings and dilute to 1.043? 1.043 was the pre-top-off gravity for 6 gallons of runnings (post-top-off it would have been 7 gallons of ~1.037 wort). I boiled for 90 minutes which concentrated it to 1.051. With boil-off and losses to hop absorption, I ended up with just under 5 gallons in the fermentor. Love this recipe, for my latest batch I used Belle Saison dry yeast and kegged hop with an oz of saaz. I got very similar results to 3711. Dropped in to say that I made this with Danstar Belle Saison and it came out great. Delicious! I know how you feel about BJCP competitions, but if you were to enter this beer into one, would you enter it as 16CL Saison, 16E Belgian Specialty Ale, or something different? I brewed something very similar but with rye instead of wheat. I really like how it turned out and plan on entering it. I think it'd be hard to justify it as specialty unless the rye really comes through. May not do well as a saison unless you have judges who understand that the style doesn't need to be strong. I entered it in 16C in the Badger Brew-off in Madison, WI and it ended up taking 2nd place. The rye was subtle but the spiciness worked well with 3711 and the amarillo and centennial hops I used. Great to hear that the judges understood the range the saison style is intended to have! And congrats to you for brewing such a good beer! Thinking about splitting this and pitching Brett into half. Do you think this recipe is a good candidate for some Brett character and if so, what strain would you recommend? I always enjoy Brett bruxellensis with Saaz and Saison. Adds a nice balancing funk, without getting too dominant. Bottle dregs can be perfect too if there is a funky saison you enjoy. Love the look of this recipe. It seems to be very similar to the type of saison's that Prairie Artisan Ale's are brewing which got me thinking...this would be really good if bottled with brett. I read your article on bottling with brett and I was wondering what your thoughts were on pitching brett combined with french white wine yeast with this beer? I know this is how Prairie does it in order to make it bone dry? How would I know how much of each to use on bottling day for a 5 gallon batch? I would only bottle with Brett if the beer was ALREADY bone dry. Prairie pitches Brett at bottling, but those beers are already at 1.002-1.003. Much higher than that and you'll eventually have terribly over-carbonated beer. The only reason reason to pitch both Brett and wine yeast is for the wine yeast to consume the priming sugar quickly and the Brett to protect from oxidation and produce flavors in the long term. I usually do one or the other. Thanks so much man. You're a wealth of amazing knowledge in this worldofsour confusion. I wanna use this recipe but with less hop additions. I also wanna use peach puree in secondary fermentation. What would you suggest to make it less hoppy? Certainly cut back on the hops to whatever level suits your tastes. However, I don't think a try/clean saison is a good base for peaches. I like some acidity with my stone fruit beers. I'd drop the IBUs below 5, and pitch a stater of Lactobacillus 24 hours before the 3711. Could mesh well with some fruity dry hops as well, along the lines of this batch. Finally got around to brewing this after all these years and can't wait to try it. Also, first time using WYeast. Started bubbling after 3 hours and, 2 days in, is active and steady but hasn't really gone crazy. Overshot gravity just a bit but hoping this will still produce awesomeness at around 7% ABV. Cheers and thanks for a cool recipe!! Glad to hear, hope it turns out well! Brewed a version of this a while ago with about 6% aromatic munich added to the grain bill. OG: 1050, FG: 1002. Really nice beer but I feel the 3711 gives the beer a slight "blonde-character". Had the same result on another saison recipie I brewed. Think it is something with the mouth feel it gives, it is a bit "silky" if you know what I mean. But still - a really good beer! 3711 is a big glycerol producer, certainly gives it a bit more heft to the body than many other beers that finish that dry. Can I make a one gallon batch out of this recipe? Sure! Just divide by 5... and adjust for your system! Great, thanks! What yeast nutrient do you recommend? Great post! It looks like Mr. Malty recommends 190mm yeast cells and the smack pack only contains ~100mm. If you did this again would you use 2 yeast packs? You certainly could, but clearly it wasn't necessary. 3711 is a beast, and as long as the pack is fresh I wouldn't worry about it. I'm super stoked to make this beer. I've followed you here and on Reddit for some time and love what you do. I'm going to build my water from RO since I'm in a new house with community Wells and haven't figured the water here yet. Think I'll just create a balanced profile water for my first try. I've been drinking tons of Collette, Matilda and Sofie lately but I really want to try my hand at my first homebrew Saison. Cheers! Best of luck, let me know how it turns out! Do you think bulk conditioning a beer like this with 3711 then kegging would produce the same effect as bottle or keg conditioning and aging the same amount of time? 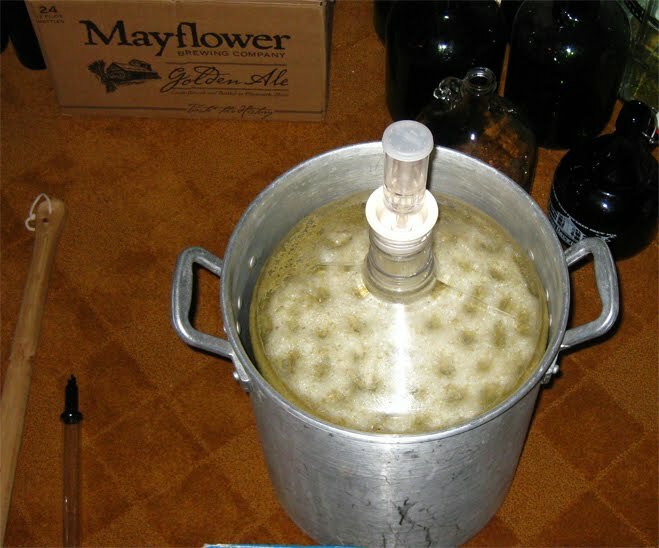 Does the yeast produce more aromatics under pressure like Brett? Thanks! I don't think natural conditioning is essential for a beer like this. It certainly helps to absorb any oxygen you introduce at packaging. Bottle conditioning is also easier to achieve higher carbonation if that is what you like for saisons. I’ve been wanting to brew this beer for a while. I also wanted to use honey in my next brew as I have some delicious thyme honey in my cupboard. I thought this could be a could recipe to add it to. Do you think the flavours would combine? Any pointers on how much and when to add? I brewed a saison with thyme honey last year with good results. .75 lbs in 5 gallons (recipe). You could start with less than that as this is a less assertive beer. I always prefer honey late to avoid damage from heat and reduce scrubbing by CO2 production. Best of luck! Beer is going on 3 weeks now and the first of 3 iterations to go into a keg. I just ask because the first 2 versions ive done of a beer similar and bottle conditioned, I’ve liked the beer most after at least 2-3 months in the bottle. Will report back once kegged and forced carbed to compare. How did it turn out, Gino?